Successfully Added Wired Recording Sunglasses Camera + 1GB Feature Packed MP4 to your Shopping Cart. 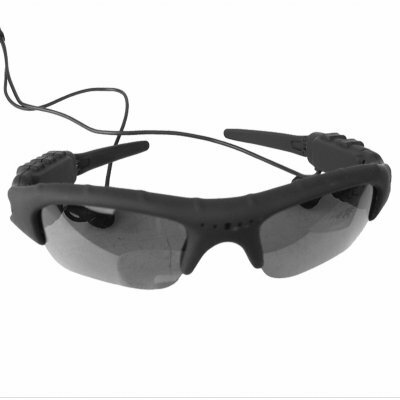 Smoothly designed sunglasses with a built in wired micro camera built in for recording anything and everything you look at and a super featured packed 2GB MP4 player for recording the video onto combo. This is a cool way to not only spend time watching digital movies and listening to great music, but as a way to really record what is going on around you when you are out. The MP4 features an Line IN for recording from the sunglasses in 3GP format, as well as mini SD card reader for expanding the memory, a built in NES emulator with D-Pad and 4 button control, and a great camera and camcorder already built in the MP4 itself. With both the MP4 and the camera sunglasses, you will be getting limitless possibilities for fun, and all at Chinavasions no MOQ low price. This product uses the PAL color system..